Long before Rose McGowan or the #Metoo movement, there was Anita Hill. Hill is now regarded as one of the most important figures in the fight against sexual harassment in the workplace. But at the time, she was a solitary figure, bravely sitting before some of the most powerful men in America testifying that — then supreme court justice nominee Clarence Thomas — sexually harassed her. Thomas, under oath, denied any wrongdoing so, despite and her testimony, Thomas was confirmed by the Senate. To add insult to injury, he becomes one of the most conservative voices on the Supreme Court acting as a barrier to women's rights issues and many others. 30 years later, a damning article in New York Magazine claims that even during the 1991 hearing, there was plenty of evidence that Thomas was, indeed, a sexual harasser and that he should be impeached for lying under oath. In the article, one woman says she actually wrote to senators on the judiciary committee during the hearing to offer personal evidence but she was ignored. Other women have since spoken out to assert that they to had been subject to similar treatment from Justice Thomas. These women corroborate Ms. Hill's testimony and it proves without a shadow of a doubt that Justice Thomas lied his way to the very top of the American justice system. If this is the case, Justice Thomas not only broke the law, but he's proven he is unfit to sit on the bench. "Since 1989 three federal judges have been impeached and forced from office for charges that include lying." They swore an oath to uphold the laws of the land and the faith of the people and they abused our trust. 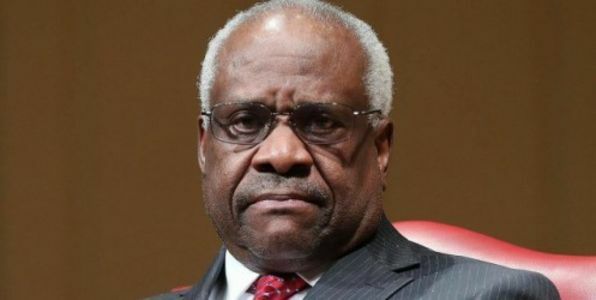 If Justice Thomas can indeed be proven to have lied, then he has been sitting on the bench for nearly three decades tainting our justice system at the highest level. But he shouldn't be allowed to continue to do so. These allegations are serious and demand a swift investigation and prompt action. If found to be true then Justice Thomas should become the fourth federal judge to be impeached. Add your name to the call and demand that the House of Representatives impeach Judge Clarence Thomas for lying under oath.